SO Sienna Apartments are located in Hammersmith, London, England, two miles from Portobello Road, 2.5 miles from Hyde Park, three miles from Buckingham Palace, and 4.5 miles from the London Eye. Hotel Features. This aparthotel is set in a three storey converted Victorian town house. The 24 hour front desk has multilingual staff who can offer currency exchange, concierge services, and tour assistance. Set right on the seafront, 400 metres from the Sliema Bus and Ferry Terminal, Hotel Astra features a sun terrace with panoramic views of the Mediterranean Sea. The Studios2Let Apartments offer modern accommodation, just 500 metres from Kings Cross Station. The air-conditioned apartments feature free internet, fully equipped kitchens and lounges with flat-screen Sky TVs. This small farm house hotel is set in a vineyard, 200 metres above sea level in beautiful and peaceful countryside. Best Western Teledom Hotel & Conference Center in the historic city centre of Kosice offers contemporary accommodation in Slovakia. The 3 star hotel offers 58 bedrooms, all equipped with a mini bar, satellite TV and internet. The restaurant serves delicious International and Slovak cuisine and there are state-of-the-art conference facilities. Myhotel Chelsea is a 4 star boutique hotel in the heart of London. South Kensington tube stations is just 500 metres away and there are countless excellent restaurants and shopping facilities right on your doorstep. All of the 45 stylish rooms at myhotel Chelsea are equipped with flat-screen TV, air-conditioning, Wi-Fi, designer furniture, tea/coffee making facilities and more. The Amadeus Hotel is located in a quiet and pleasant area of Paris in the 12th district and is close to Gare de Lyon and the metro Nation. It offers free Wi-Fi access. This fully renovated hotel has an inviting atmosphere and rooms for 1 to 3. Cosy Monceau provides en suite accommodation in Paris's 17th arrondissement, near Parc Monceau. Each Cosy room has a telephone, TV and private bathroom. 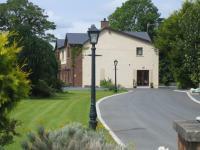 Surrounded by a beautiful garden, this charming bed and breakfast has an idyllic setting in County Down, just a stone's throw away from the racecourse and golf club. Novotel Heathrow features a modern fitness centre, airport shuttle and soundproofed rooms with internet access. The hotel is situated in West Drayton, just a 5-minute drive from Heathrow Airport.